Catch Up Time: In my last post I was volunteering as a camp host at Shenango Lake in Pennsylvania. After a year without one, I finally bought another kayak and spent some blissful times on the lake. As a camp host, I cleaned out fire pits with a shovel and rake and threw the ashes onto the bed of the trusty John Deere which poured out smoke from its underbelly if I left it running but otherwise made it to the ash dumping grounds and back. I also spent some time in the information booth where I mostly did the Miss America wave to people coming in with legit car passes. On my last day there, a gentleman drove by my campsite, stopped and said You are doing a great job. I replied to him, Sir, you just made my day. I so appreciate and will always remember that. My camp site only had an electric hookup. So without water in my little home on wheels, I traveled each morning to the bathhouse for a shower and to clean dishes. On to the Present: Once again I am working with the Amazon CamperForce for the peak season. I am now in a full hookup site in Clarksville, Indiana. Each morning, I still think I have to go out to shower. Then I remember where I am and turn on my faucet and water comes out. The marvels of modern civilization. Isn’t life grand! 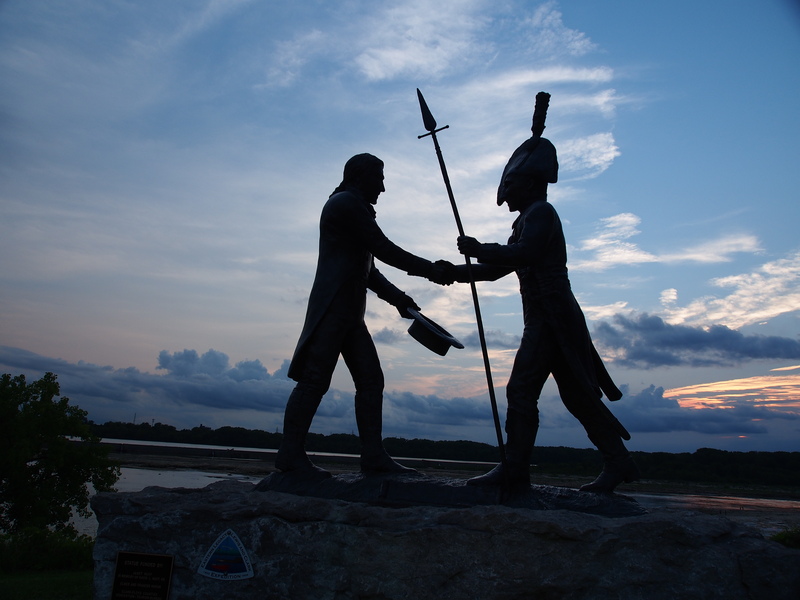 This time I am living on the Ohio River right where (in days of yore) Lewis and Clark met and their great adventure began. I see it as a portend of my own journey and this new adventure. Always a joy to hear from you, Sher. Blessings and miss you so much! Great story – your life is full of them…and how great you could be out on the lake as before. 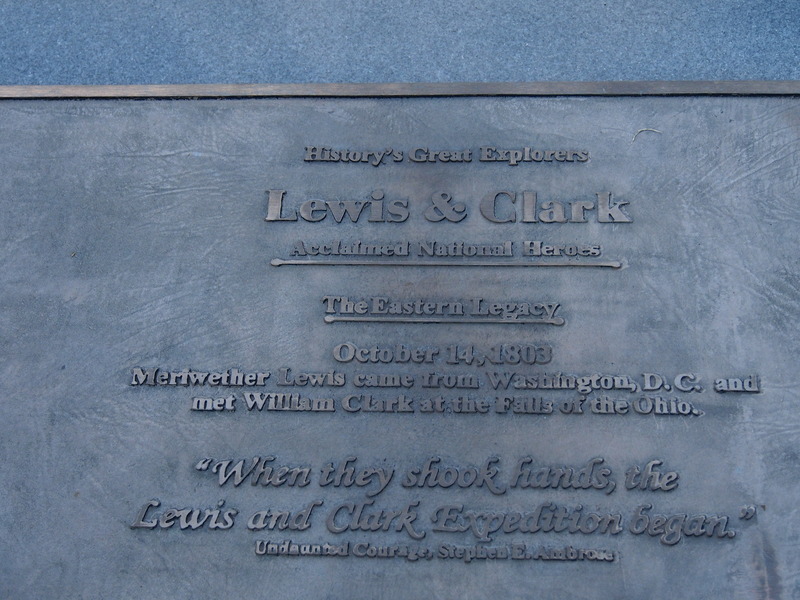 And…could you fill in on Lewis and Clark? Unknown to us here in Sweden. Thank you for telling a bit of the story! Here they are unknown to ordinary people! Great to hear you are doing good. I am going for a 6 month checkup Sept 5th already in Portland. Feeling good too. Thank you, Sarah. It ended up driving me further onward. Always a good thing. Lesson learned.